Hailed as “absolutely dazzling…in a word, flawless” (New York Concert Review) during her recent Carnegie Hall debut, Grammy nominated American pianist Kara Huber has been acclaimed for her “mature vision” by the Washington Post. Recent performances include the Steinway Series at the Smithsonian American Art Museum, Kennedy Center for the Performing Arts, and the Yamaha Young Artist Series. 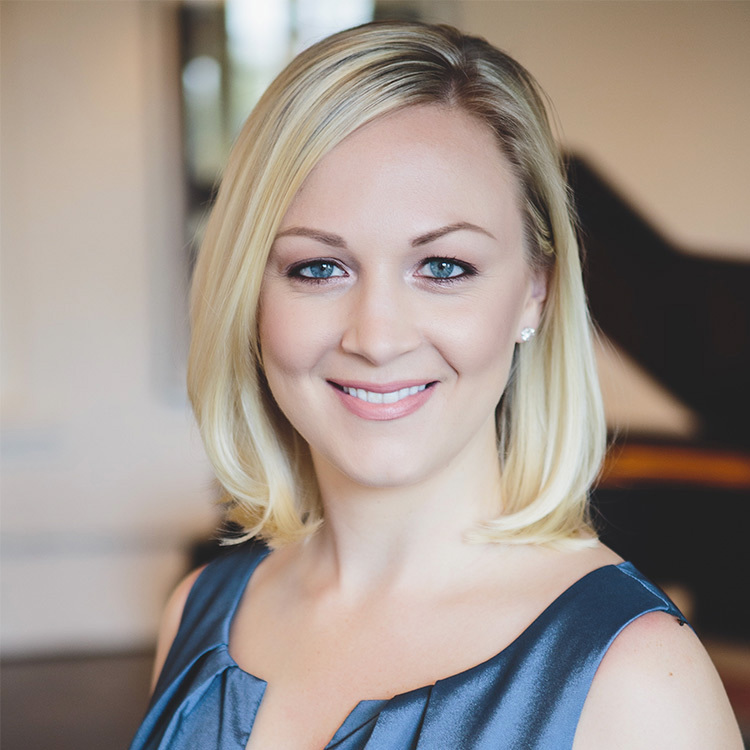 Ms. Huber has performed across North America, Europe, and Australia and was awarded the Audience Favorite Award in the Cincinnati World Piano Competition. Ms. Huber has received numerous prizes and awards for her performances, including the Bradshaw and Buono International Piano Competition, The Stetcher and Horowitz Foundation’s New York Piano Competition, and the Chicago Symphony Orchestra Concerto Competition. Kara has recorded with the ARC Ensemble for Chandos Records, and their resulting album was nominated for a 2017 Grammy Award. Ms. Huber began private lessons at the age of five and at sixteen was admitted to the Interlochen Arts Academy. Kara has received degrees at the University of Cincinnati College-Conservatory of Music under the tutelage of Frank Weinstock and Awadagin Pratt. Currently based in Toronto, she most recently completed an Artist Diploma degree at the Glenn Gould School of The Royal Conservatory of Music with John Perry.